Love crossword puzzles? Love ice? 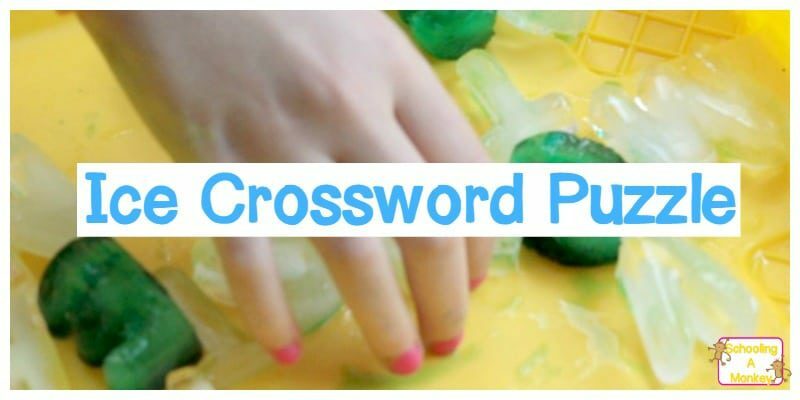 Combine these two loves in this ice scrabble literacy game for kids! Literacy has never been so fun. 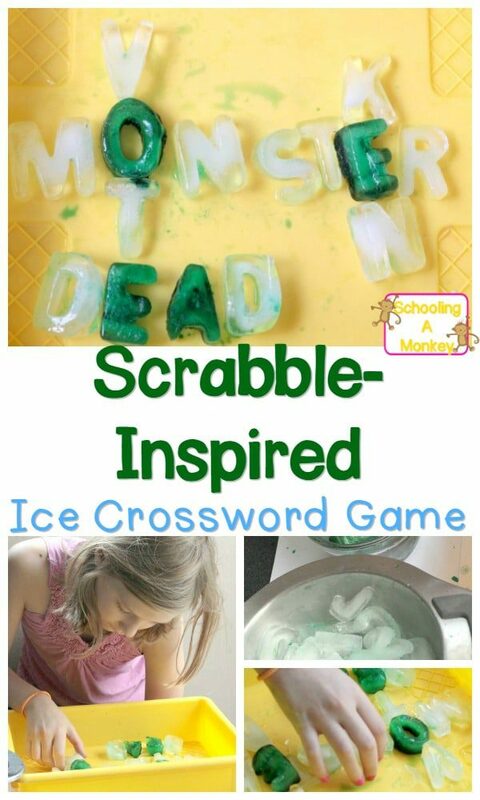 We played this icy scrabble-inspired game as part of an ice unit study. Visit our homeschool unit studies page for more unit study ideas. 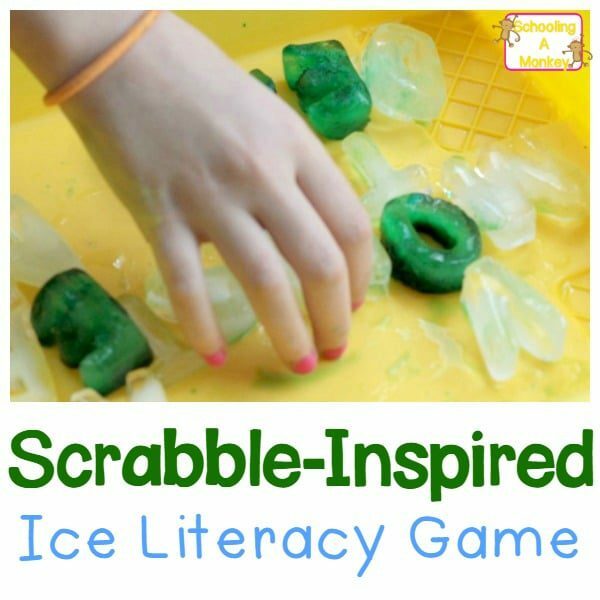 Find out how we used ice in our literacy games for kids and take a look at the bottom of the post for more ideas on how to round out your thematic units featuring ice. A few days in advance, start freezing your letters. We decided to leave our consonants white and dye our vowels green. This not only helped make the game a little more colorful but it also helped the kids easily identify the vowels and how a vowel is used to make every word. After each tray froze, we popped the letters back into the freezer in a zip lock back and made more. We made about 3 of each of our letter trays to make sure we had enough letters for our game. We played our game like Scrabble. First, one person made a word. Then the next person added on to that word. We kept going until our fingers froze and we ran out of vowels. The first person to be unable to make any more words is out. Play continues until only one player remains. To keep the mess level lower, we played our ice crossword puzzle in a large plastic tray. This kept the water from escaping as the game progressed. « Have Fun Teaching: Try The Teacher’s Crate!